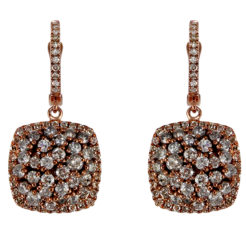 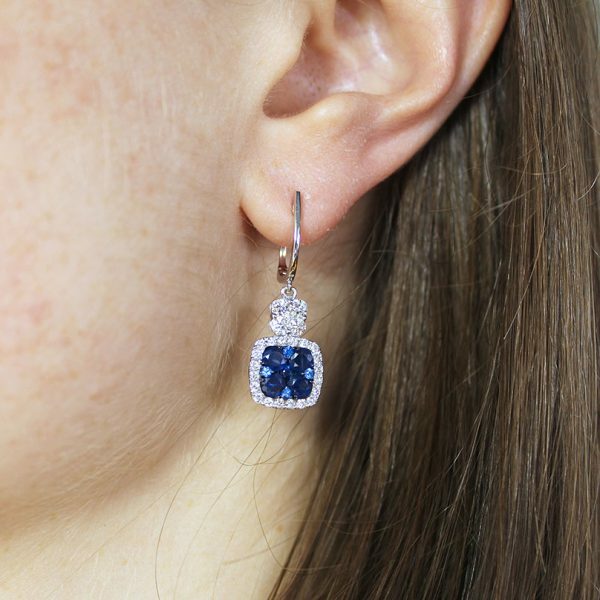 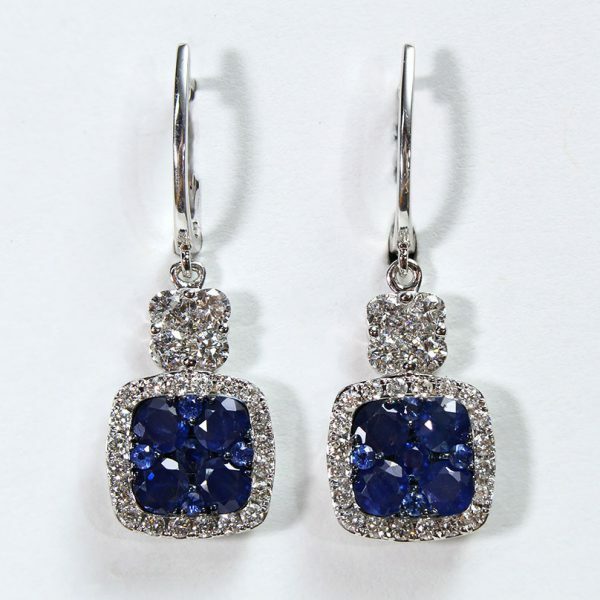 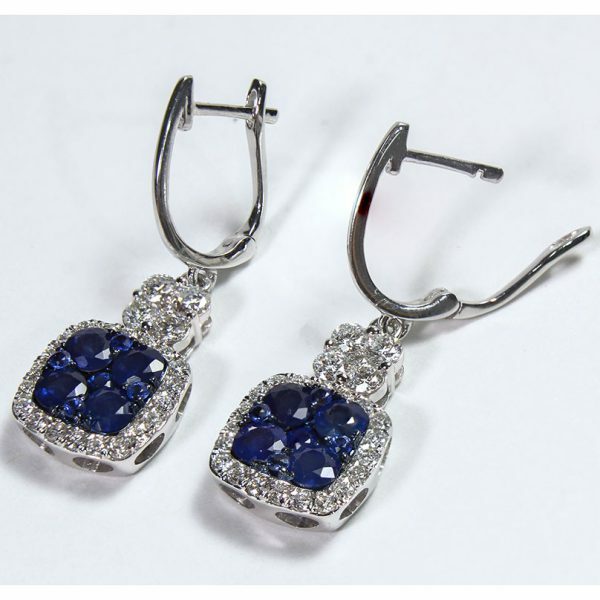 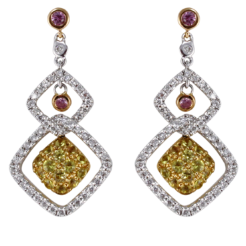 The Sapphires in these Earrings are a spectacular color of blue that is deep and rich. 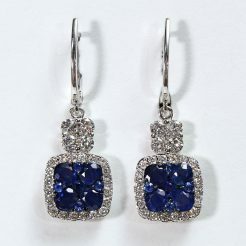 The Sapphires are complimented by 1.01ct total weight of very White Diamonds. The stones are set in 14kt White Gold.